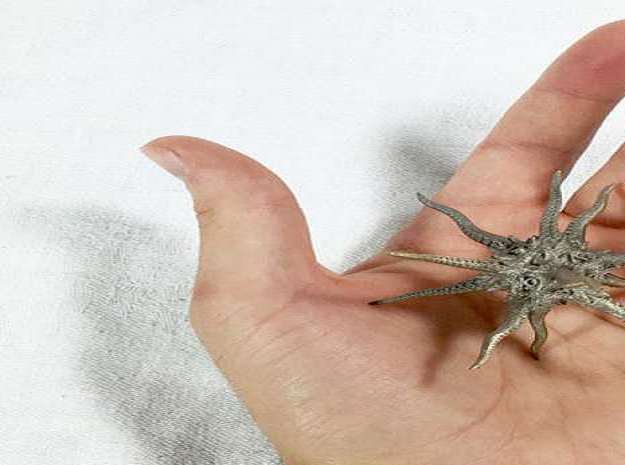 When he's not terrorizing Nordic ships The Kraken enjoys a good game of Skulls and Shackles. 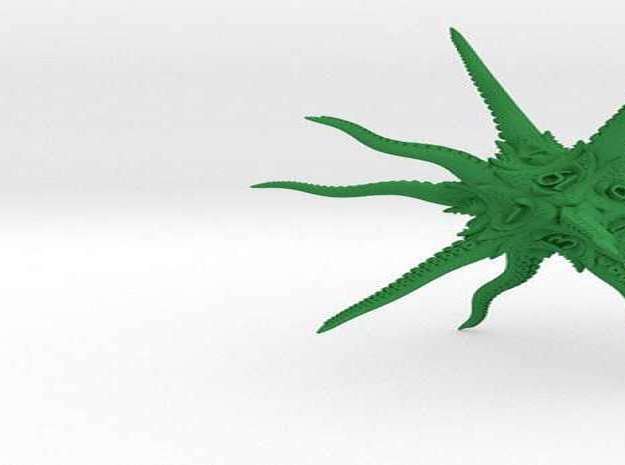 So when 3D artist Nvenom8 approached him with a merchandising opportunity, the behemoth beast of the sea wasn't just willing, he was pumped to see himself transformed into a D20 die. His one request: make me legal. So for The Kraken, and for all the RPGing world, here it is. A completely fair 20-sided die nestled into a bramble of spiky, sucker-lined tentacles. 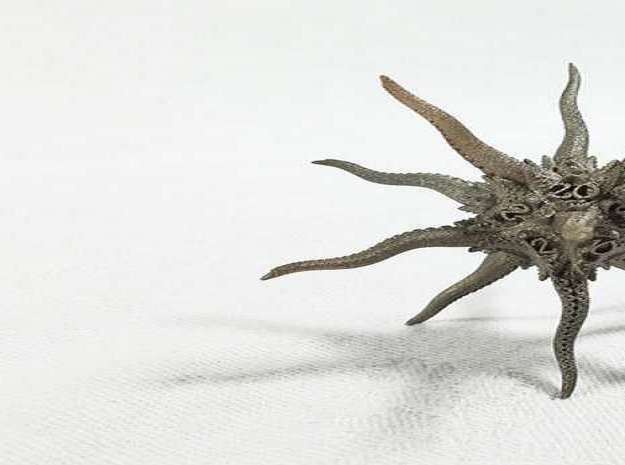 The Kraken D20 measures almost 3" across and, as video evidence shows, rolls as elegantly as a house spider running from the broom. 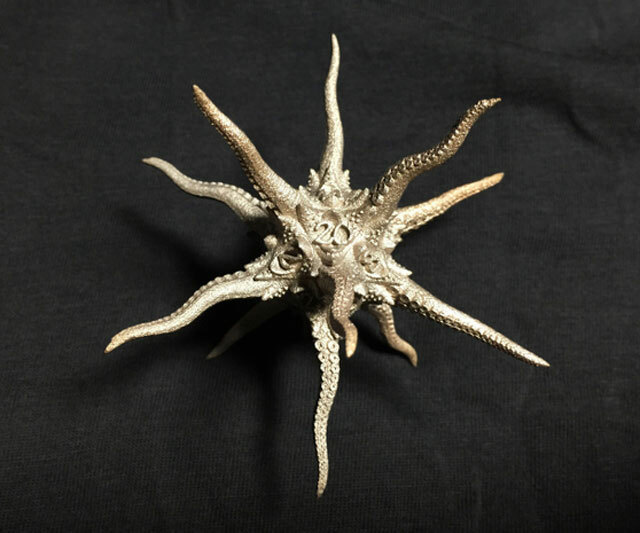 Like most Shapeways 3D-printed pieces, Nvenom8 will fabricate the Kraken D20 in over a dozen different materials and colors, with prices ranging from $14.99 for a plastic unit to $119.99 for raw brass or bronze.